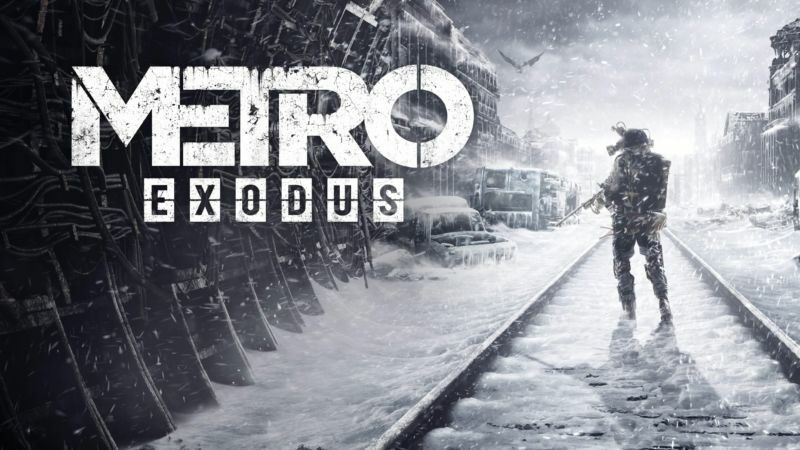 Metro Exodus is a departure from the original series roots by being completely out in an open world setting and no longer in the dark tunnels of the Metro. Now, I love this series of games! They are a part of the survival horror and post-apocalypse genres of games that are incredibly fun. In the older ones, if you went up to the radioactive surface, you’d have to put a gas mask on which meant managing the amount of oxygen you had on hand. That aspect still exists in this version of the game; However, It never really was as much of big deal. The surface is where you are the whole time with little trips underground every so often. the environments in the new maps are a lot of fun because they change drastically from level to level. This keeps the game fresh because you’re always learning new mechanics as the game goes on. Graphically, this game is stunning to look at. I’m running it on the Xbox One S and it’s really quite amazing. Despite this, the game has so many bugs and glitches in certain areas where the bodies of dead enemies are shaking and flinging around. It is very funny for the most part but the worst glitch I experienced was when I first booted up the game. It completely restarted my Xbox One S. While this only happened once, it was still quite frustrating. Moving on, my biggest issue with this game is the loading times. If you play Skyrim you know that the game is plagued with horrid loading times and this is the same thing with Metro Exodus. The game seems to take about 2-3 minutes sometimes to fully load. So if you die, I guess you can enjoy a few minute break. The issue with the load times really got me out of the game playing experience because it prevented me from enjoying the flow of the game. It forced me to sit and watch the load bar not move. Metro Exodus’s storyline of Artyom and his fellow rangers looking for new land above ground to call home has a good focus on the protagonist from the past two games. The story is very great and by the end of the game I felt so close to the characters. The only issue being that Artyom is a silent protagonist which feels very weird in this day and age. Overall, the game is very awesome with great mechanics but it makes me miss the feeling of being in the Metro we all know and love. If the game loading times were faster this game would be absolutely incredible. With all that said, I’m giving this game 7/10 for being a truly entraining game that is plagued with glitches and bugs. Carson Daly Is Ending His Late Night Show, ‘Last Call’.